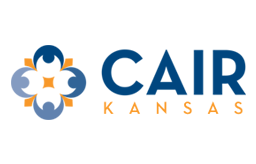 (KANSAS CITY, KS, 5/3/18) – The Kansas chapter of the Council on American-Islamic Relations (CAIR-Kansas) today offered a $5000 reward for information leading to the arrest and conviction of the person who allegedly attacked a Muslim student on the campus of a local community college in Kansas. “We welcome the FBI’s commitment to apprehending the alleged perpetrator in this case and hope our additional reward will convince someone to come forward with information that leads to an arrest and conviction in this case,” said CAIR-Kansas Board Chair Moussa Elbayoumy. Elbayoumy added: "CAIR-Kansas has been supporting, advising and providing the victim and her family with legal counsel since the day of the incident, and we are glad to see the FBI take this additional step forward in the investigation." Muslims from across the state will be joined by members of the state’s Christian and Jewish communities and others to stand together and declare that Muslim Kansans are valued and valuable. 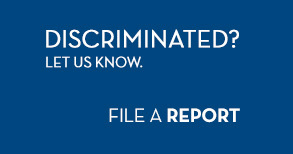 "We are all equal in God's eyes, and we all have equal protections under the law," Said Rabi Moti Rieber, executive director of Kansas Interfaith Action. 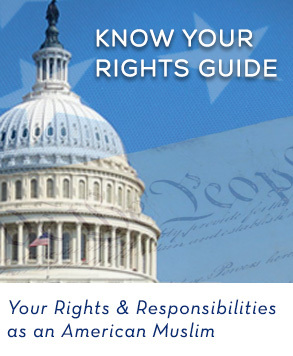 (KANSAS CITY, KS, 11/03/17) -- On Saturday November 4, the Kansas chapter of the Council on American-Islamic Relations (CAIR-Kansas) will hold its First Civil Rights Banquet, with the theme "Living Our Faith -- Defending Freedom" at the DoubleTree Hotel in Overland Park, Kansas. The banquet has sold out and no tickets will be sold at the door. Some 400 Kansans of different faiths and backgrounds signed up to attend the event. Banquet speakers include Nihad Awad, CAIR-National Co-Founder and Executive Director; Dr. Altaf Hussain, VP of the Islamic Society of North America (ISNA), and keynote speaker Khizr Khan, father of fallen U.S. Army Captain and Purple Heart recipient Humayun Khan, one of a number of American Muslim “Gold Star” parents nationwide. At the event, CAIR-Kansas will also present the MVP (Most Valuable Partner) award to Kansas Interfaith Action (KIFA) a statewide, multi-faith issue-advocacy organization that “puts faith into action” by educating, engaging and advocating on behalf of people of faith and the public regarding critical social, economic, and climate justice issues, in recognition of the organizations work for justice throughout the state and its outstanding support of the Muslim community, helping breakdown stereotypes and building friends and allies across traditional divides.